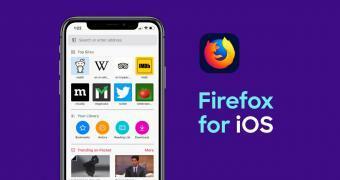 Mozilla released a new version of its Firefox web browser for Apple’s iOS mobile operating system for iPhone and iPad devices, adding various new features and improvements. Firefox 16.0 for iOS is now available to boost your privacy by making it easier and faster to delete your browsing history with a single tap on the History page. iPhone and iPad users will now be able to clear web history data from the last hour, the current day and/or the day before. “Because we all make wrong turns on the web from time to time, you can now choose to delete your history from only the last hour, that specific day, the day and the one before or, as it has always been, your full browsing history,” said Mozilla in a blog article.